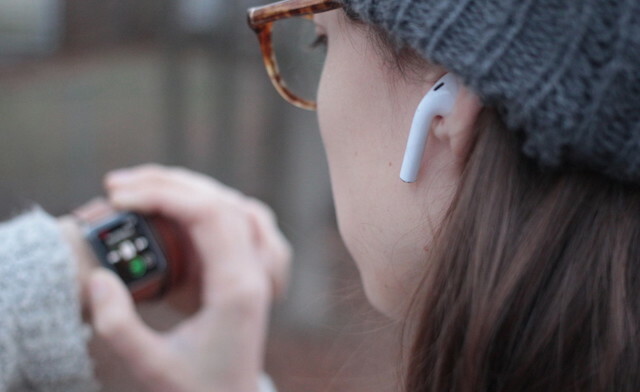 It's been two years since Apple introduced the first generation of AirPods. A wireless Bluetooth headset that has conquered millions of hearts around the world. But this technology advances by leaps and bounds, and Cupertino should think about releasing a second version sooner rather than later. The second generation was expected by the beginning of 2019. However, new rumors suggest that they will not go on sale until 2020 . Little is known about how they will be. It is expected that in the coming months the company will finally commercialize the wireless charging case. But the new AirPods need much more than that to get attention again. 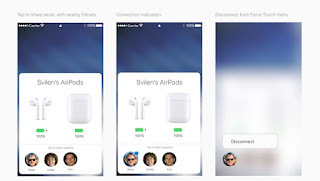 Then 8 features and functions that we would like to see in the AirPods 2. Would not it be great to be able to share the music we are listening to with our friends or family through the AirPods? Once it was possible through a cable splitter, but Apple's Bluetooth headphones do not have, so it is not possible. This is the origin of the idea of ​​a conceptual artist who has imagined the "AirPods sharing" function . 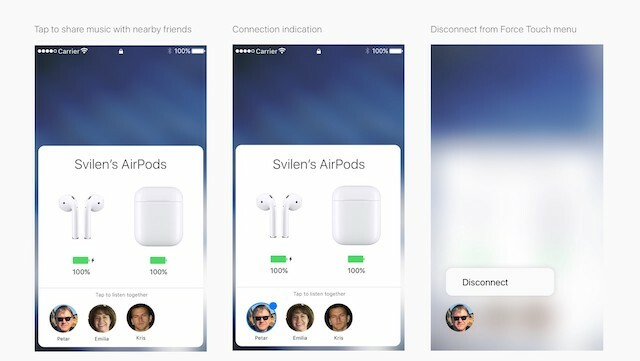 This feature would allow users to pair several AirPods so that everyone can hear the same audio source. It's a pretty ingenious idea that Apple should take into consideration. Apple is a company that likes to make its devices simple and minimalist. The AirPods are a clear example of this, since they do not have any type of physical button , but are controlled by gestures. But those controls are scarce. For example, you can not change the volume unless we call Siri. To fix it, Apple could add a small touch portion on the surface that detects the sliding of the fingers and the pulsations to change the volume. More than a desire seems to be a reality . 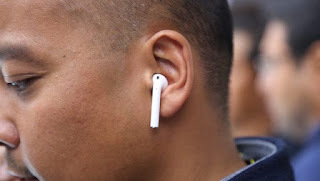 One of the rumors about future AirPods is that they could add the noise cancellation function. In itself the wireless Bluetooth headphones have a good sound quality, but it would be much better if they had this feature. I do not know how the company would incorporate it , since most devices with this function have rubber pads or are over-ear . But if it is achieved, of course it would be another tip for the Cupertino. One of the fields in which Apple is investigating and investing is in the field of health . The Apple Watch has become the perfect wearable to keep track of our physical activity, in addition to keeping track of our hearts. The latest model even allows performing electrocardiograms , becoming the first of its kind to do so. 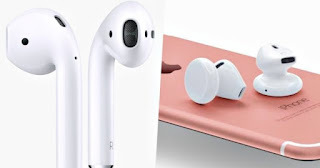 During these months there have been several rumors suggesting that AirPods will also have health-related functions. The one that has most sounded is the one that ensures that it could include sensors to monitor several of our vital signs. It is not surprising that AirPods are only available in white. Many of Apple's products have this tonality. The only solution for someone who wants them in another tone is to add vinyl . Taking a look at the other devices and items in the block, it would not be crazy to think that the second generation comes in space gray or black . Or in rose gold! When we speak of voice assistants it is impossible not to mention Siri. Since its debut in iOS 5 has always been one of the features of the system that have drawn the most attention. Even if it was just to fool around for a while. It is possible to invoke Siri with the iPhone without touching any button saying "Hey, Siri", as with the Apple Watch. But not with the AirPods . As you could see in the last Keynote of September during the startup trailer, they are likely to add this feature in the next generation. When Apple introduced the AirPods, nobody was very clear that they were used to sports. That conception changed soon the moment a man completed a marathon with them without problems. Their design allows them to not move inside the ear, which makes them perfect for running. But they are not made for it . Apple Bluetooth headphones do not have resistance to water or sweat . A nonsense considering what they cost. Hopefully Apple makes them resistant in the second generation. AirPods become the great majority of users. But there are different ways of ear, and some do not get along with the Apple wireless headphones. Those of Cupertino should include in the box some accessory so that it fits well with other types of ear. You may even consider an alternative design of the product or more sizes .